When in 1915 and early 1916, Germany’s Zeppelins had begun raining bombs down upon British coastal military installations and largely undefended ‘soft’ targets such as towns and cities they initially met with little effective resistance. It took time for defensive measures to be implemented but before 1915 was out a handful of RFC and RNAS units had been established in key areas and early the following year ten new RFC squadrons destined for France were held back for home defence. Anti-aircraft guns and searchlights began to appear in ever-increasing numbers around the home counties and the capital as the training of pilots in night-flying continued with a sense of real urgency and purpose. Intelligence also played its part as skilled cryptographers intercepted German Naval wireless messages and began decoding their signals: before long it became possible to track any approaching Zeppelin and anticipate its course. All these counter-measures, and myriad others, were in place by mid-1916 but despite several nocturnal encounters with raiding airships by RFC fliers, the raids continued unchecked. 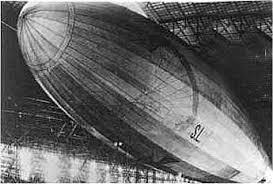 All the Zeppelin commanders really had to worry about was the weather and unreliable navigation.